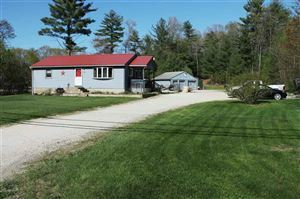 If you are looking for Hooksett NH real estate, you’ve come to the right place! There are many wonderful homes available in beautiful Hooksett New Hampshire. See all Hooksett NH Real Estate. Hooksett served the wider area as a ferry landing for crossing the river. Lumber mills and brick making were the earliest industries. There was also canal shipping of cotton from the mills in Manchester starting in 1794. In the 1830 census, 880 people called Hooksett home. In 2010, the number had jumped to 13,451 residents. Southern New Hampshire University is located in Hooksett, and is also the second largest employer. The largest employer is the GE Aircraft Engines plant. It is just nine miles from Hooksett to Manchester, 12.5 miles to Concord NH, and 59 miles to Boston, Massachusetts. Interstate 93 facilitates easy travel in and out of town. Manchester-Boston Regional Airport serves the area and is located 15 miles from Hooksett. The town’s most famous landmark, Robie’s Country Store, is listed on the National Register of Historic Places and is now operated by the National Parks Service. It is often visited by presidential candidates, and has been since the 1950s. It was built in 1907, after fires twice destroyed previous buildings. Its location near road, river, and railroad positioned it for great success. It is currently operated as a deli and country store selling local New Hampshire crafts and foods. Outdoor recreation is popular here, as it is throughout the state of New Hampshire, and many such activities can be pursued right in town. Boating, fishing, hiking, camping, and cycling can all be enjoyed in Hooksett. The McIntyre ski area is just short trip away in Manchester. It offers skiing, snowboarding, and tubing as well as lessons and dining. Elementary and middle school children attend classes in Hooksett. Older children go to school in nearby Manchester, with their tuition being covered by the town of Hooksett. The school districts in this area of New Hampshire are highly respected. There are a number of youth sports leagues in town, including baseball, basketball, soccer, softball, and lacrosse. Moe Archambault is very familiar with Hooksett NH real estate and ready to help you find the right property suiting your requirements. He’ll make the purchase of a home much easier on you by handling all of the complicated details. Whether a single-family home, a condominium, or if a larger property is your goal, there are Hooksett NH homes for sale that will satisfy your needs.